Coastal Maine offers incredible cruising destinations from Southwest Harbor to Bucks Harbor, to Camden, to Rockland, to Tenants Harbor, to Portland, Kennebunkport, Portsmouth and beyond. Buy lobster straight from the docks, pick up moorings for the evening, tie up for lunch or dinner at some famous dock restaurants, discover secluded harbors with fantastic beeches, great island hiking, sight-seeing, whale-watching… What better way to enjoy all of this than from the helm of a well-maintained Ellis charter boat! 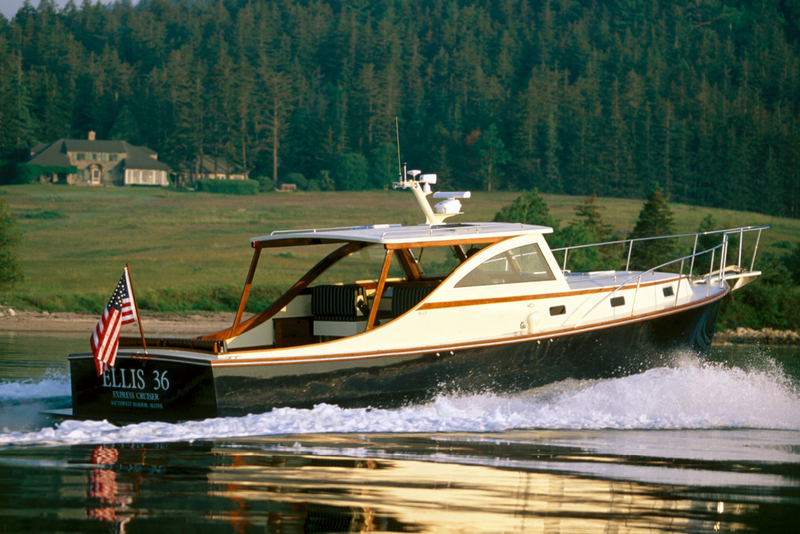 Ellis Boat Company offers Downeast Powerboat Charters out of Southwest Harbor, Maine (44.2746998, -68.3227908). Ellis Charters are available by the week. Charters are self-captained (bareboat) and they include a tender and cruising supplies. Ellis maintains the vessels and provides 24/7 service. All Ellis Charter boats are properly insured.